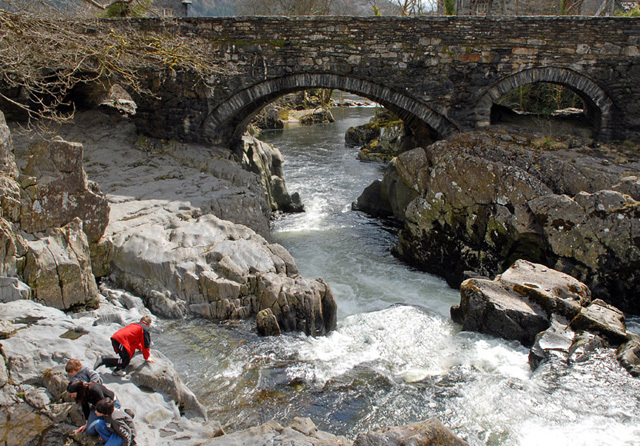 Betws y Coed is known as the gateway to Snowdonia which means that you are on the doorstep of some brilliant walks and trails. If you are craving some fresh air and looking for hotels in Betws y Coed, The Glan Aber Hotel is the ideal base to begin your exploration of the beautiful area. With en-suite rooms, a lounge, restaurant and games room, you will have everything you need to set you up for your walk and recharge on your return. There is an endless number of walks in the area, we have rounded up 3 for you to take a look at! The Miner’s Bridge was used by miners in order to access the lead mines in the Gwydyr Forest. The bridge crosses the Afon Llugwy which is a tributary of the River Conwy. This is a walk that is brilliant for beginners, it’s easy going and perfect if you’re looking to really take in your surroundings. Llyn Elsi is a reservoir found in the forest above Betws y Coed. The walk is less than an hour away and is well worth seeing, the local angling club has also made it the home to various types of fish. Be sure to take a camera as the views across the lake are breathtaking! The tourist given name for the Rhaeadr Ewynnol, this multiple waterfall system is a must-see! The walk passes through the woodland with multiple waterfalls along the way, they are best to see after wet weather which is not something we are a stranger to here in North Wales. Along this walk you can enjoy the previously mentioned Miner’s Bridge, ending up at the River Conwy where you can see a 50ft waterfall! To find out more about The Glan Aber Hotel and the local area, you can click here.